Writing on the IP Finance weblog this morning, Tom Swinnen (Thompson Hine LLP, Brussels) explains that, for the 2008 tax year, a new tax incentive has been introduced in Belgium which leads to a maximum effective tax rate of 6.8% on patent income. This is the Patent Income Deduction (PID) scheme which, he maintains, results in the lowest effective European tax rate on income derived from the licensing of patents or the use of patented products. The PID is available only in respect of patents and supplementary protection certificates, but not any other intellectual property rights. You can read Tom's piece in full here. This week, it's off to Bulgaria, thanks to the kind information from Ventsi Stoilov, a Bulgarian IP specialist. Last week the Wikipedia entry for Supplementary Protection Certificates was updated again. Wikipedia is an increasingly popular (and indeed relied-upon) source of information for members of the general public. What's more, Google and Yahoo! (but not Cuil) searches of the term "supplementary protection certificate" put the Wikipedia entry at the top of its 'hit' list. Since Wikipedia is open to amendment and correction by all responsible readers who take the trouble to edit it themselves, it seems prudent for all readers of this weblog who value the accuracy of information concerning SPCs and their public image to monitor the Wikipedia entry regularly in order to ensure that it is acceptable. This week the SPC Blog is takes a look at the Portuguese Patent Office. Similarly to its Spanish counterpart, the Portuguese Patent Office's website is a colourful site. Information is available to the user both in Portuguese as well as in English. "The Paediatric Regulation introduces the requirement to include information about paediatric studies in the Marketing Authorisation (MA) application. This requirement, already mandatory for new medicinal products as from 26 July 2008, will start soon to be compulsory also for previously authorised medicinal products covered by a supplementary protection certificate (SPC) or a patent, which qualifies for the granting of the SPC (as from 26 January 2009)". "Supplementary Protection Certificates" is the surprise choice of title for The SPC Blog's first seminar on the subject, which is coming up on 28 January 2009. The seminar, which occupies the whole of Wednesday afternoon (with drinks to follow), will look at hot topics in the field of SPC law and practice, examining in particular any differences that arise between practice in France, Germany and the United Kingdom. Speakers are European Patent Attorneys Michèle Lavé (Cabinet Alice de Pastors, Paris) and Niels Hoelder (Germany), plus Deputy Director of the UK Intellectual Property Office Lawrence Cullen. The event is chaired by SPC Blog team member Robert Stephen, a European Patent Attorney at law firm Olswang (which has kindly agreed to host the event). You can read and download the formal invitation here. If you'd like to attend, email Natalie Smith here and let her know. Space is limited and we can't guarantee to squeeze everyone in, but we hope we won't disappoint anyone. Next in The SPC Blog's tour of inspection of official national patent websites is Cyprus, a jewel in the Crown of the Eastern Mediterranean. Cyprus, it seems, does not have a dedicated Intellectual Property Office; rather, its intellectual property administration and execution of official policy is handled by the The Intellectual and Industrial Property Section of the Ministry of Commerce, Industry and Tourism's Department of Registrar of Companies and Official Receiver. There's very little intellectual property information available online from this source, and most of what's there deals with trade marks. A site search of the English language version of the text for 'SPC' received no hits at all. "Supplementary protection certificate" fared equally badly. Even "patent" received just nine hits. If this review has failed to unearth any significant SPC information from this website which is known to any of our readers, can the relevant link be posted by using the Comment facility below. The SPC Blog's tour of European patent offices takes us next to Lithuania. 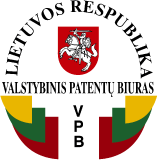 The website of the State Patent Bureau of the Republic of Lithuania is accessible in the local language and in English. The site is more transparent than many, having a site-counter that tells readers how many visitors the site has received in total, how many have visited that day and how many are online at that precise moment. I was a little surprised to learn that, mid-day on Sunday, I was already the 6,283rd visitor to the site that day -- but perhaps Sunday is a popular day for IP activity in the Baltic region. The formal structure of the site divides subject-matter between inventions, topographies, trade marks and designs. There is no page or click-through that is devoted to supplementary patent certificates at all. However, a site search for "SPC" throws up one hit -- a 300 page pdf document dated 27 February 2006 which turns out to be the Official Gazette. A word search of that document produces two hits for "SPC" and none at all for "supplementary patent certificate". Site searches for "supplementary protection certificate" fare substantially, producing four hits of which three are in English: two are from the 2oo2 Annual Report, the third being a read-only Word document containing the English translation of the Lithuanian Patent Act as amended to June 2005.